It is the greatest joy of the team at Smile Creations when patients choose our practice for their dental care, and bring their children and grandchildren to see us too. 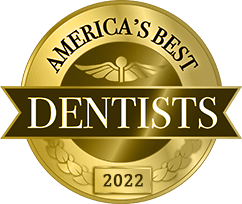 It means the world to our team that patients regularly trust us with their most precious smiles, and we strive to offer the best care for patients of all ages. In addition to our friendly, welcoming atmosphere and superior care for each patient, Smile Creations is a great practice for families as we offer extended evening and weekend hours making scheduling appointments for the whole family a snap. We welcome children at our office, and hope you will trust our team to help your child develop a lifetime of oral health habits and healthy smiles. 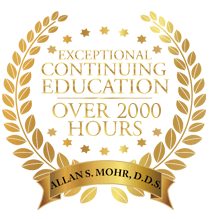 Dr. Mohr and his team focus every dental office visit on the patient. 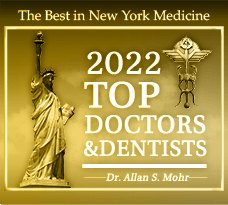 According to one of our recent patient reviews, “This doctor is the most caring, compassionate, dentist I have ever met!” Dr. Mohr is well known as one of the foremost cosmetic dentists in New York, but as much as his patients love their results, they can’t help but gush about the dental treatment experience at Smile Creations. 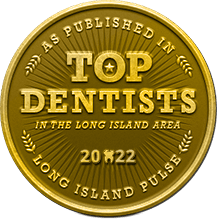 Form the moment patients walk through the door, our team does their utmost to provide the personalized, respectful dental care that makes every patient feel welcome and confident that they will receive excellent dental care. Regular checkups and cleanings – Visiting the office every six months allows us to diagnose and treat oral health concerns at the earliest possible stages, identify orthodontic concerns, and remove stuck on plaque and bacteria protecting smiles from future dental health concerns. Dental sealants – Keep bacteria and plaque from accumulating with a thin coat of plastic that protects your child’s smile for up to ten years. Fluoride treatments – Give your children a leg up on tooth decay with enamel strengthening fluoride treatments. Athletic mouthguards – If your children are playing sports, custom mouthguards offer superior protection and comfort compared with store bought versions. Patient education – A lifetime of outstanding oral health starts with excellent at-home hygiene. Our hygienist and team will demonstrate great dental care for your child, and give him or her a chance to practice and ask questions. 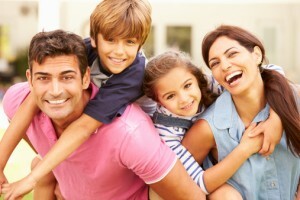 Are you ready to schedule appointments for your whole family at Smile Creations? Contact our Massapequa Park office today. by: allanmohr at November 3, 2015 .